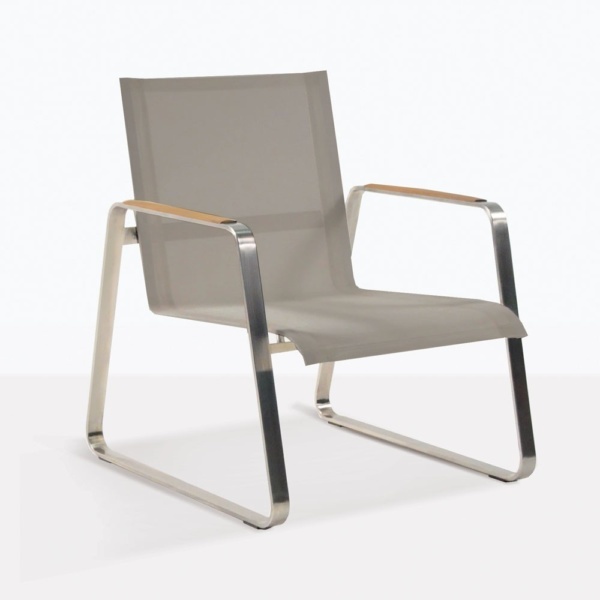 The Summer Stainless Steel Batyline Relaxing Chair in Taupe is sleek, sophisticated and extremely comfortable. 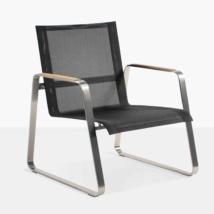 Batyline mesh is an amazing material that is durable, easy to clean and offers the best seat comfort, no seat cushion is needed! 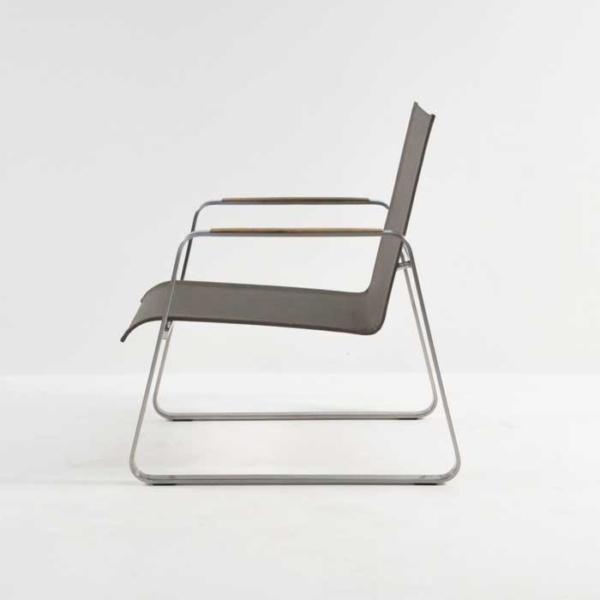 The frame of the chair is made with marine grade #316 stainless steel to ensure this chair will stand up to the elements. 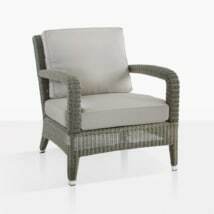 And to finish off the look, the arms have a-grade teak on them for a polished look and unique detail. 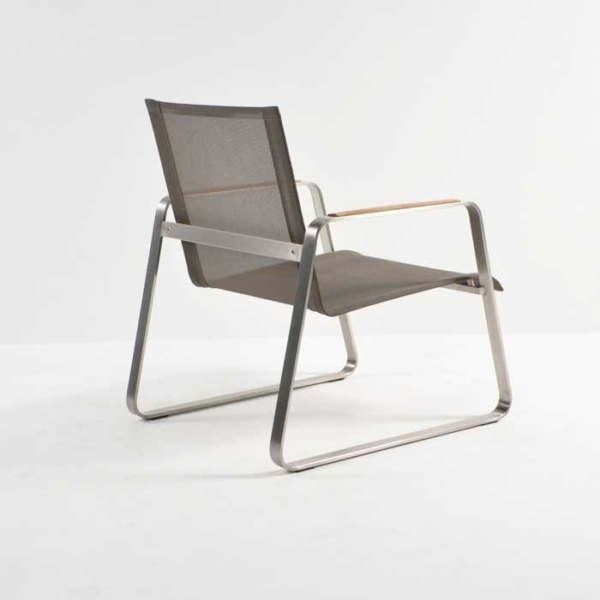 So sit back and relax in ‘sheer’ comfort on this fantastic low chair. The low profile and stunning curved legs of this chair make this chair a statement piece. 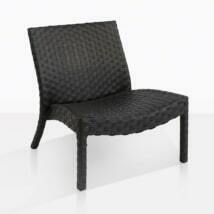 Add sophistication to your outdoor patio with two chairs and an accent table. 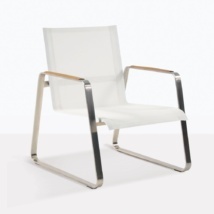 Or use these chairs in your office for a comfortable place for guests to sit. The Summer Stainless Steel Batyline Relaxing Chair in Taupe comes fully assembled and is ready for pick up for nationwide delivery. We are open 7 days a week, so give us a call to get your order started.